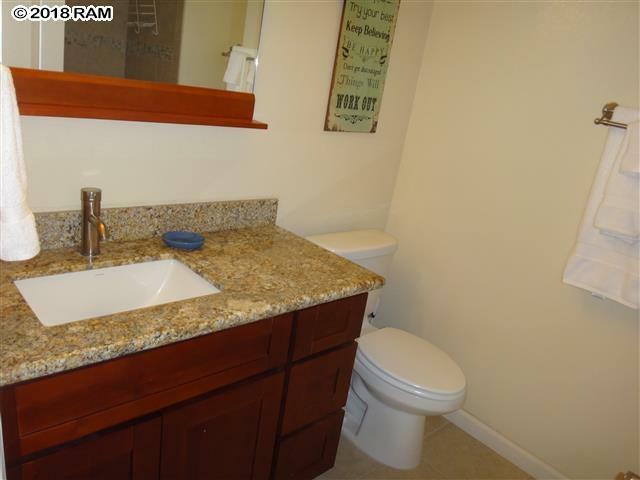 Beautifully remodeled ground floor unit with peek ocean views from living room and master bedroom. 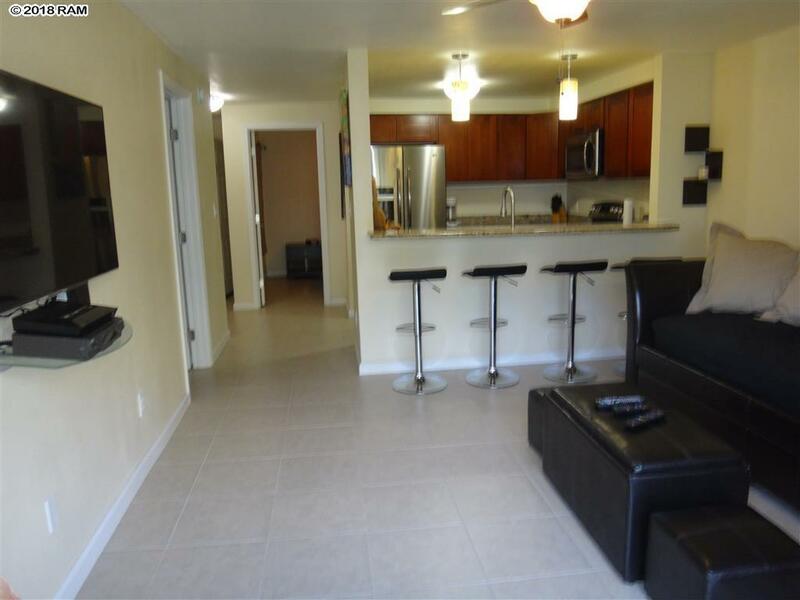 Tile floors throughout, hard wood cabinets, granite counter tops, offered fully furnished and turn-key. Complex features swimming pool, kids pool, hot tub and bbq area. 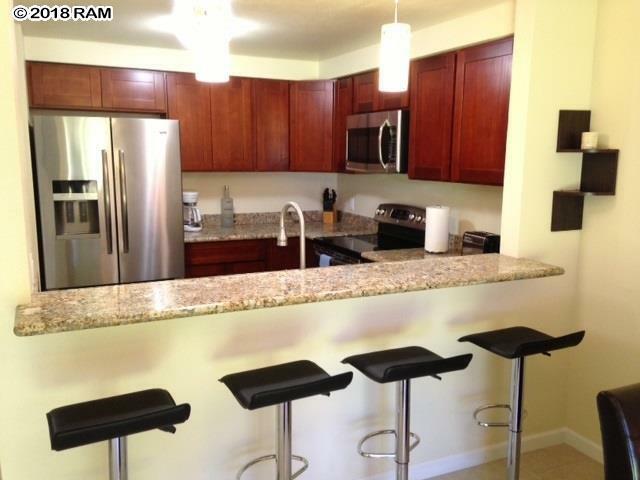 Walking distance to Kamaole Beaches. Excellent rental income potential long term or short term. Currently rented for $2500/month. Owner holds active real estate license in HI and Ca long term. HOA approves and short term rental but county does not recognize as vacation rental.